Sales. It’s a profession that requires unique skills and talents. Anyone who understands success in sales knows that it takes a combination of psychology, an extroverted personality, diplomacy, organization, and more to be a competent professional. It is definitely not a career for those who prefer sitting behind a desk or sitting at a computer. 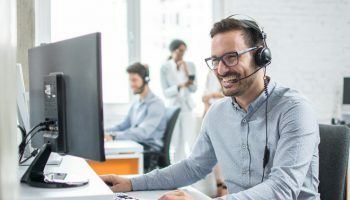 Successful salespeople are “people persons,” and they are enthusiastic about developing connections and relationships with others, especially customers. All of these qualities and attributes should be strategically highlighted in your resume. But as we all know well enough — selling oneself is the hardest job! 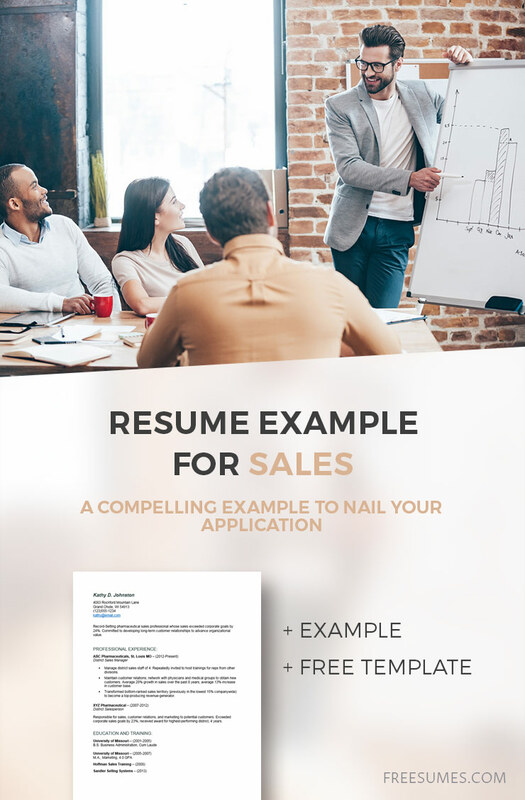 Below you’ll find the essential tips for writing a banging resume and a detailed resume example for sales pros to use. You should highlight your biggest achievements in your “executive summary” at the beginning of the resume. You want a potential employer to see those up-front major achievements. If you managed a sales department that had a 25% growth rate during your tenure, shout it out. This is big stuff and it deserves a prominent place. Don’t list up your duties and skills. Instead, make sure that the rest of your resume also focuses on results that you have accomplished. They may not be as major as this first achievement, but you need to relate that you have been successful in each position you have held. Did you achieve a high sales ranking within your department? Did you grow your client base? By how much? How many new accounts did you sign? 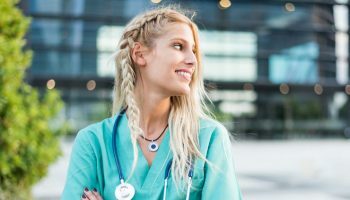 You Degree is Not as Important as Your Training and Certifications. Successful salespeople come with all sorts of degrees, some even with high school diplomas or Associate degrees. 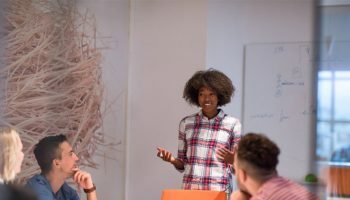 What matters more throughout a career will be the additional training and certifications obtained, plus the coveted achievements. Hence, you should not dwell too much on the education section and absolutely consider the chronological resume format. Mind the Target the Audience. Are you currently employed by a large corporation, looking to become a big fish in the little pond of a smaller company? Or is it the opposite (or the same)? Are you applying for a position in sales that is within the same niche or a different one? These things will “color” how you word your resume. The key will be to demonstrate the value that you can bring to the target organization. And this will vary depending on the size and the niche. 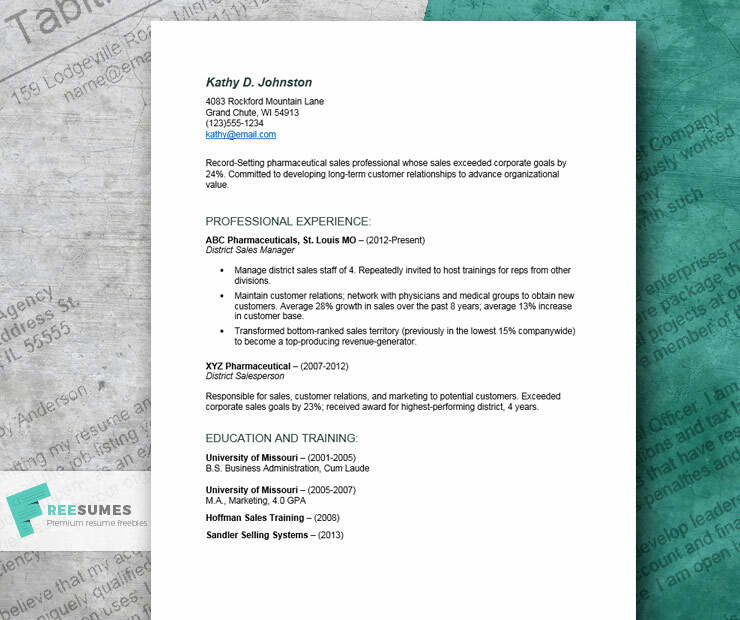 A big factor in your resume wording will be conveying a message of confidence. If you have had prior and current successes, this should not be difficult. Words such as “I can, will, have decided, definitely, always” convey confidence (but don’t use the ‘I” word too often). Finally, this is already well-known but is worth repeating. Review the job posting carefully. Pick out keywords in that posting that you believe might be used via a digital screening. Be certain that these are included in your resume, and as close to the top as possible. Record-Setting pharmaceutical sales professional whose sales exceeded corporate goals by 24%. Committed to developing long-term customer relationships to advance organizational value. Manage district sales staff of 4. Repeatedly invited to host trainings for reps from other divisions. Maintain customer relations; network with physicians and medical groups to obtain new customers. Average 28% growth in sales over the past 8 years; average 13% increase in customer base. Transformed bottom-ranked sales territory (previously in the lowest 15% companywide) to become a top-producing revenue-generator. Responsible for sales, customer relations, and marketing to potential customers. Exceeded corporate sales goals by 23%; received award for highest-performing district, 4 years. Depending on the resume template you’ll choose, you may also want to include a list of key skills separately to go along with your career details. Finally, keep the same bold and confident tone in your cover letter, where you’ll further comment on your achievements and explain your particular strengths!